December | 2011 | En Avant! CC myopic obsession with on-street competition risks doing more harm than good for passengers – but will this pave the way for Quality Contracts? Transport authorities and bus operators have often been at polar opposites when it comes to the Competition Commission’s on-going investigation. However, there is one point on which we all seem to agree – the CC’s recent obsession with on-street competition is dangerous and largely misguided. What’s more, it risks getting in the way of high-end partnerships and could take us back to the Wild West of the late 80s. But is there a chance this could pave the way for Quality Contracts? Despite its earlier recognition that “head-to-head competition tends towards instability, the closer the competition between operators becomes” the CC’s latest position isn’t entirely surprising. In reality, there was always a risk that it might revert back to the safe and comfortable haven of perfectly competitive markets. 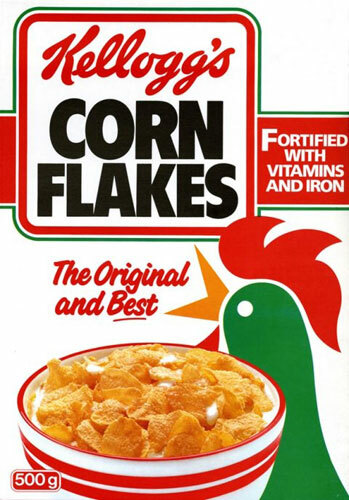 This is the norm for most typical consumer products, say cornflakes, where there’s a permanent threat of competitors coming along and offering a similar product at a lower price. Retailers will put the competing products on their shelves and consumers will logically buy the cheaper one, placing pressure on the incumbent to review its offer. The problem is that bus services are a tad more complex than cornflakes. Critically, they’re perishable which means that they can only be purchased at very specific points in time. Many passengers will arrive at a bus stop at the same time everyday and will expect to board the first bus that shows up. The decision to wait around for another bus or to adjust the timing of a journey increases the non-monetary cost incurred by passengers. At the same time, if a bus turns up immediately after a preceding service it will find very few passengers to pick up. We have shown in our response to the CC’s report that for these reasons, new entry into an existing corridor at evenly spaced intervals between the incumbent’s services is very likely to be loss making, even where the incumbent is earning substantial profits. This means that there is a very strong incentive on a new entrant to run its services immediately ahead of the incumbent’s timetable. In turn, the incumbent will respond by adjusting the departure of its services and this process will continue until one of the operators decides to withdraw from the market. Typically, the operator with the deepest pockets survives. The all too familiar by-products of this process, observed most clearly in the post-deregulation period, are an irreversible loss of demand due to network instability, short term losses to operators (eventually leading to higher fares) and an increasingly concentrated market where the law of the jungle dictates who survives. In a sense, the CC is right – profits have never been lower than in the post-deregulation period. But paradoxically (and this is something the CC probably struggles to understand) this has not resulted in a better outcome for passengers. In the five years following deregulation, bus patronage in the metropolitan areas declined by a quarter despite a substantial increase in bus-kms. Without some degree of timetable coordination, unfettered on-street competition will lead to operators losing money and passengers getting a less reliable and more expensive service. Regrettably, the CC report has also raised serious doubts over high-end partnerships, the type of measure with the potential to achieve a more efficient and sustainable outcome in the context of on-street competition. Evidence from Oxford and Merseyside suggests that where competition has developed, Qualifying Agreements can indeed be used to offer a better and cheaper product to passengers, albeit requiring a degree of regulatory oversight from local transport authorities. So will the CC be successful in delivering more on-street competition? And how will local transport authorities respond? If the CC’s remedies achieve its stated objective, this could well take us back to the bus wars of the late 80s. Ironically, this would put increasing pressure on LTAs to bring in SQPs or Quality Contracts, the types of remedy that the CC has been so keen to avoid. If, on the other hand, the remedies have little or no impact, then this may act to strengthen the case for Quality Contracts and we may well see new proposals coming forward. Following the publication of the CC’s report, we have already seen announcements from Nexus and WYPTE which seem to show a growing resolve. On the other hand, the CC’s ambivalence over partnerships could lead to a growing sense of frustration amongst LTAs as operators become increasingly reluctant to participate in fear of the competition authorities. The recent findings on tacit coordination in the North East and the Wirral are only likely to compound these fears. The effect could be to force some LTAs to move towards Statutory Partnerships and possibly Quality Contracts. So it seems possible that the CC’s myopic obsession with on-street competition could end up back firing and eventually pave the way for a more regulated market. I only wish they would have worked this out before repeating the same mistakes of the past. In the meantime, expect turbulent times ahead.